In 1940, Hendrik Kramers (left) predicted theoretically that in a double-well system (center bottom) transitions between the stable states happen most frequently at intermediate friction (upper right). The background shows a detail of the laser system used to confirm Kramers’ prediction experimentally (Copyrights: Jan Gieseler; Image of H. Kramers courtesy of AIP Emilio Segrè Visual Archives, Goudsmit Collection). 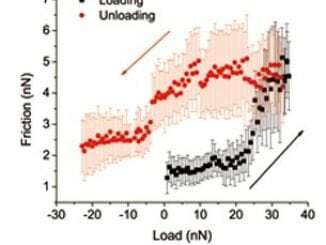 Transitions occurring in nanoscale systems, such as a chemical reaction or the folding of a protein, are strongly affected by friction and thermal noise. Almost 80 years ago, the Dutch physicist Hendrik Kramers predicted that such transitions occur most frequently at intermediate friction, an effect known as Kramers turnover. 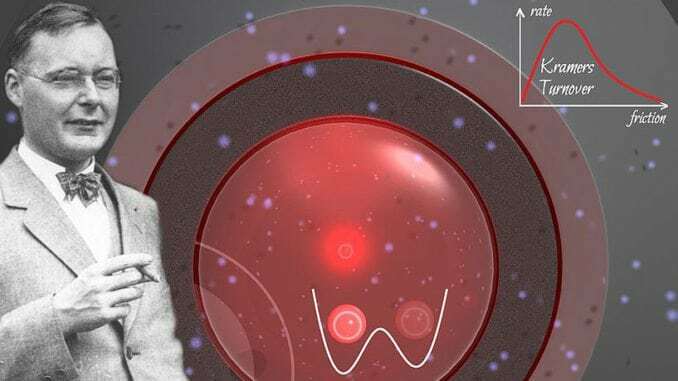 Now, reporting in Nature Nanotechnology, a team of scientists from the ETH Zurich, ICFO in Barcelona and the University of Vienna have measured this effect for a laser-trapped particle, directly confirming Kramers’ prediction in an experiment for the first time. In 1827, the English botanist Robert Brown made an observation of seemingly little importance that would turn out to play a central role in the development of the atomic theory of matter. Looking through the objective of a microscope, he noticed that pollen grains floating in water were constantly jiggling around as if driven by an invisible force, a phenomenon now known as Brownian motion. It was later understood that the irregular motion of the pollen particle is caused by the incessant buffeting of the water molecules surrounding the pollen particle. Albert Einstein’s theoretical analysis of this phenomenon provided crucial evidence for the existence of atoms. The collisions of the pollen grain with the water molecules have two important effects on the motion of the grain. On one hand, they generate friction that slows the particle down and, at the same time, their thermal agitation keeps the particle moving. Brownian motion results from the balance of these competing forces. Friction and thermal motion caused by the environment also deeply affect transitions between long-lived states for example phase transitions such as freezing or melting. The long-lived states, e.g. different phases of a material or distinct chemical species, are separated by a high energy barrier as depicted schematically in the illustration. The barrier between the wells prevents the physical system from rapidly interconverting between the two states. As a consequence, the system spends most of its time rattling around in one of the wells and only rarely jumps from one well to the other. 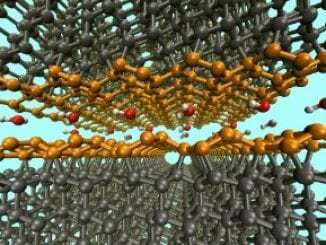 Such transitions are important for many processes in nature and technology, ranging from phase transitions to chemical reactions and the folding of proteins. How often, then, do such rare barrier crossing events occur? This is the question that the Dutch physicist Hendrik Kramers addressed theoretically back in 1940. Using a simple model system, he showed mathematically that the rate at which transitions occur quickly decreases with growing barrier height. More surprisingly, Kramers predicted that the transition rate also depends on the friction in a very interesting way. For strong friction, the system moves sluggishly leading to a small transition rate. As the friction is decreased, the system moves more freely and the transition rate grows. At sufficiently low friction, however, the transition rate starts to decrease again because in this case it takes a long time for the system to acquire sufficient energy from the environment to overcome the barrier. The resulting maximum of the transition rate at intermediate friction is called the Kramers turnover. In an international joint effort, scientists from the ETH Zurich, ICFO in Barcelona and the University of Vienna have now succeeded in directly observing the Kramers turnover for a levitated nanoparticle. In their experiment, a nanoparticle is held in a laser trap with two wells separated by an energy barrier as shown in the illustration. Just like the pollen grain observed by Brown, the nanoparticle constantly collides with the molecules surrounding it and these random interactions occasionally push the nanoparticle over the barrier. By monitoring the motion of the nanoparticle over time, the scientists determined the rate at which the nanoparticle hops between the wells for a wide range of frictions, which can be accurately tuned by adjusting the pressure of the gas around the nanoparticle. The rate obtained from their experiment clearly confirms the turnover predicted by Kramers almost 80 years ago. “These results improve our understanding of friction and thermal motion at the nanoscale and will be helpful in the design and construction of future nanodevices”, says Christoph Dellago, one of the authors of the study. Material provided by University of Vienna.